Época is a place for anyone from anywhere to gather around the table, be present in the moment and make new memories with friends and family. 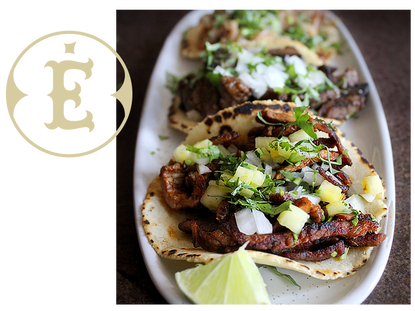 IN ENGLISH, ÉPOCA TRANSLATES TO "TIME" OR "ERA"
To me, Época represents spending time together in a warm and welcoming environment, and enjoying Mexican comfort foods. This is a place to celebrate occasions big and small with the people you care about. We hope you’ll spend some time with us. This isn’t just any late night happy hour. This is a fiesta, Época style, all year long. At night, we'll feature drink and food specials plus good music, dancing, and a live DJ. Check out our Facebook page to find the latest events.